Men march to fight violence against women and children #Activate16Days #NoExcuse - Activate! 2017-11-20 /0 Comments/in Media /by Activate! On Sunday the 19th of November 2017, Takuwani Riime! collaborated with various stakeholders from across various sectors to organise the Men’s March aimed at encouraging men to take action against gender-based violence. The ACTIVATE! Change Drivers network had the privilege of being part of this important and historical gathering which took place in Cape Town. The march coincided with the launch of #Activate16Days; a campaign aimed at urging Activators and young people from all corners of the country to encourage communities, and men in particular to play an active role in addressing the challenge of gender-based violence. The campaign further seeks to provoke new ideas and approaches to address the pressing challenge of gender based violence affecting communities across the country. Research indicates that men are generally perpetrators of gender-based violence and gender injustice in society. Interestingly, men also commit acts of violence against other men, with 9.6% of men reported to having experienced sexual victimisation by another man. In this light, it must be highlighted that men exist within communities, and as such ought to be encouraged to play a meaningful role towards finding solutions to interminable challenges facing society today. On the 18th of November 2017, ACTIVATE! Change Drivers was invited to participate in a round-table discussion at the Castle of Good Hope in Cape Town. Offering her message of support to the Men’s March at the event, Minister of Women in the Presidency Susan Shabangu maintained that in an effort to end gender-based violence, society must reach to men to play a meaningful role in communities across the country. “We see men mobilising society to influence the kind of change we want to see, and we must encourage this.” she said. Speaking at the same event, activist and feminist Simamkele Dlakuva urged men to interrogate how society in general and men in particular define masculinity. “Men are generally portrayed as enraged and violent, but I would like to see them as loving beings” she maintained. The dominant narrative about men in society in general is largely devoid of contextual analysis of the role traditional masculinity plays in the socialisation and conditioning of men. Moreover, our acceptance of the dominant narrative without question hinders us from hearing stories of individuals, including our own stories. 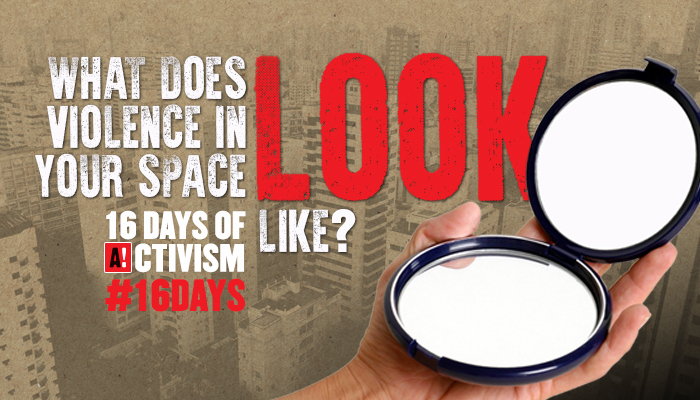 The #Activate16Days campaign represents an important platform to change the narrative that is supportive of violence and provoke new approaches. Join the campaign and encourage men in your community to contribute meaningfully towards addressing gender based violence. On the 25th November 2017, Activators in the Welkom in the Free State will join Black Management Forum at the BGM Gender Catalyst Seminar at Goldfields Casino Hall. The ACTIVATE! network in Cape Town will attend the 2017 Nelson Mandela Annual Lexture to be delivered by the United Nations Deputy Secretary-General, Amina J Mohammed on the 25 November 2017. Activators across the country will be supporting various initiatives in observance of the 16 Days of Activism against Gender Based Violence from 25 November to 10 December.